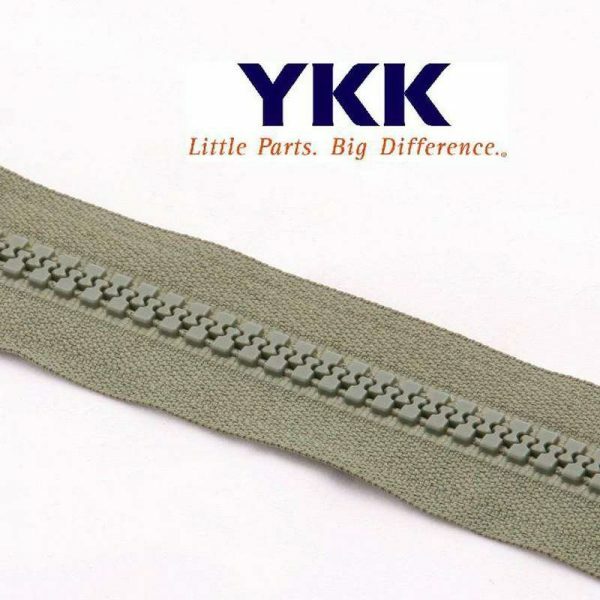 Categories: AWNING AND BLIND ACCESSORIES, TENT ACCESSORIES, TONNEAU ACCESSORIES (BAKKIE COVERS), YKK ZIPS. Made of injected plastic elements. Lighter than metal zippers of the same size. Ideal for wet conditions, which makes it perfect for wetsuits, bags, boat covers and also lapa covers at coastal areas. Available in #5 and #10.